We’d love your help. Let us know what’s wrong with this preview of Leading Men by Christopher Castellani. To ask other readers questions about Leading Men, please sign up. are there any available quotations from the book? This one held no appeal to me. I tried to get into it but gave up at the 20% point. I believe one of the signs of a truly exceptional novel is that it springboards a desire within the reader to explore even more works of literature. This book has certainly done that for me. Serendipity would say that this book landed in my mailbox just as I finished watching a movie about Truman Capote. Along comes this beautifully profound novel about Tennessee Williams and the other literary geniuses of the day. I now want to devou I received this book through the First Reads giveaway program. Thank you so much for a glimpse into the past, but also a chance to read more from some of the literary greats! "I kept waiting to feel something," Trevor says. "For the first few pages, I almost did, but then, as it went on and on, I just wanted the guy to shut up, and die already. The whole thing was so self-indulgent." This had so much potential, that my low rating is more from a feeling of major disappointment than anything else. It is an utter failure on almost every level, with major boredom being the most egregious of its sins. It isn't well-written enough to qualify as liter "I kept waiting to feel something," Trevor says. "For the first few pages, I almost did, but then, as it went on and on, I just wanted the guy to shut up, and die already. The whole thing was so self-indulgent." This had so much potential, that my low rating is more from a feeling of major disappointment than anything else. It is an utter failure on almost every level, with major boredom being the most egregious of its sins. It isn't well-written enough to qualify as literary fiction (as do the two recent novels about Capote and his 'swans'), nor is it trashy, gossipy fun. Although I can semi-see that the intention was to focus the attention on Merlo, Williams is so consistently missing in action through most of this, that one really gets no feel for the relationship itself, until the final chapter. For example, midway through there is a lengthy scene during Visconti's filming of Senso, that takes place with an entourage (including Anna Magnani) at a fish restaurant. I wasn't sure Williams was even THERE, until towards the end he finally utters two lines. Anyone who knows ANYTHING about the playwright knows he couldn't/wouldn't have been silent for so long. The other major annoyance is that Castellani shoehorns in tidbits from other lives, real and otherwise, that add nothing - the author John Horne Burns and HIS Italian lover, Sandro, make an appearance, primarily so that Sandro's son can become a character in the OTHER major storyline, about a fictional Swedish actress (apparently, from the author's endnote, inspired by Liv Ullman). There is a chapter detailing Burns' death that MIGHT have made an interesting short story, but just feels superfluous here. Castellani even manages to make Capote's infrequent cameos dull and lifeless, something I would have thought well-nigh impossible. The actress's storyline revolves around Williams' supposed last short play, written in tribute to Merlo and the only copy of which he mails to the woman just prior to his death, and which the actress attempts to stage in the penultimate chapter. Castellani includes the entire mess of a manuscript here (something he had written ten years earlier, according to the endnote) ... but it bears NONE of the hallmarks of Williams' later experimental work, as the author himself even admits! Mindboggling in its ineptitude. I find it hard to believe ANY of the authors who have provided glowing blurbs for the back cover even read the book, it is so far afield from my own experience. True story: 1973, San Francisco: as a 19 year-old undergraduate drama student, I scored a cheap balcony seat to Williams' umpteenth revision to what was then called 'The Two Character Play'. As the intermission was ending, I scurried up the stairs to my seat, only to see the great man himself descending the staircase coming towards me. I could tell he was obviously drunk and/or stoned, and as we passed, he stumbled and fell right into me. I grabbed and 'uprighted' him, and he leaned into me, kissed me on the cheek and whispered 'Sorry, baby'. What self-centred bores! Bailed out at 1/3 & still felt endless. Italy, a booze-soaked party thrown by Truman Capote, a mysterious Swedish film star, and the gorgeous love story between Tennessee Williams and Frank Merlo--what's not to adore about this novel? From the first page, I was swept into the rich and mesmerizing world of Castellani's LEADING MEN, and enjoyed it right up to its incredibly moving and satisfying ending. This ambitious novel has a rich cast of characters and whisks you from 1950s Italy in the 1950s to Manhattan in the 1960s to the theate Italy, a booze-soaked party thrown by Truman Capote, a mysterious Swedish film star, and the gorgeous love story between Tennessee Williams and Frank Merlo--what's not to adore about this novel? From the first page, I was swept into the rich and mesmerizing world of Castellani's LEADING MEN, and enjoyed it right up to its incredibly moving and satisfying ending. This ambitious novel has a rich cast of characters and whisks you from 1950s Italy in the 1950s to Manhattan in the 1960s to the theater world in Provincetown, Massachusetts, all while exploring themes of love, fidelity, and the challenges of forging one's own identity while in a partnership with a creative genius. I loved it! A gorgeous story taking Tennessee Williams love, Frank Merlo, from the shadows and backstage right into the spotlight, making him--at last--the leading man. Beautifully written! In the summer of 1953, American writer Tennessee Williams and his lover Frank Merlo attend a wild party in Italy hosted by Truman Capote. It's there that they meet the beautiful aspiring actress Anja Blomgren and their lives change forever. She loved Frank and kept in touch with him through his long illness while Tenn distanced himself from Frank as his condition grew worse. Tenn paid for Frank's radiation and care but could not bring himself to sit by his side as he died. In the present day, Anja has become a recluse in the U.S. A young man unexpectedly contacts her and she discovers he's connected to the events of that fateful summer in Italy. The writing was absolutely phenomenal---I wanted to highlight so many of the lovely and compelling passages! Unfortunately I never connected with any of the characters. While they are described in great detail there was something that prevented me from finding dimension to the characters and because of that I wasn't invested in the story itself. If I was a writer I would write historical fiction….I’m not saying it’s easy but the raw material is already there for you. You research the heck out of something (or someone) that already interests you, then let your imagination run wild, then go back and meticulously check all the available facts to make sure what you’ve written COULD have happened. What could be more fun? By all accounts Tennessee Williams was a larger than life person and as the author has pointed out in interviews, already w If I was a writer I would write historical fiction….I’m not saying it’s easy but the raw material is already there for you. You research the heck out of something (or someone) that already interests you, then let your imagination run wild, then go back and meticulously check all the available facts to make sure what you’ve written COULD have happened. What could be more fun? By all accounts Tennessee Williams was a larger than life person and as the author has pointed out in interviews, already written about ad nauseam. But how interesting to learn that virtually ALL of his acclaimed work was done when he was in a 15 year relationship with a man named Frank Merlo. So Castellani turns that biography on it’s head and makes his story about Frank. What is it like to be the muse of the greatest playwright of the 20th century? Unsurprisingly Merlo never had much of a career of his own. So little is known about the man that Castellani must have had a difficult time making him interesting, therefore he threw in an entirely fictional woman, girl actually (Anya) based on a real life young woman who was sleeping with the same Italian laborer as her mother. (Anya had him first). Those are the kinds of juicy tidbits that keep you turning the pages. Castellani puts in another character than makes us sit up and take notice, the endlessly fascinating Truman Capote who was a contemporary of Tennessee Williams. I never tire of reading about Truman and his flair for the dramatic. I think Castellani misses an opportunity to make his novel more interesting by doing more with the characters of Capote and Anya. By all accounts Frank Merlo was kind and caring whereas Williams was more than a bit of a heel. Williams was generous with money but emotionally absent and physically absent when Merlo needed him most, when he was dying of lung cancer at a very young age. This was pre-AIDS epidemic but one has to wonder if his cancer was AIDS related. I hate to admit it, but I decided to give up. Yes, I'm over 50% and I'm still struggling with this book. Hadn't it been amazing Edoardo Ballerini who did actually a great job as narrator, I would have given up earlier, but even his flawless narrating couldn't make this book better (for me). The author too did a great job, considering the research for this book, and I appreciate the decision to devote his novel to a heartbreaking story about the burdens of fame and the complex negotiations of life in the shadows of greatness. I understand that greatness and literary genius not automatically means being a good human being, and maybe these people were holding boring talks and were just boring persons, but couldn't it be told more interesting? Not THAT boring? It could have been such a great story about Tennessee Williams and his longtime lover Frank Merlo!..I enjoyed the parts with Frank's narrative, his character was the best. But there were so many really dull parts (especially the parts with Anja Bloom - sorry - and there were just much too much of her). It is a pity that so much potential went lost. This book is good written, so if you like literary fiction and want to learn something new about Merlo, give it a try. Maybe you will belong to those readers who couldn't put it down. This book had a great premise but I found it lacking depth as well as lacking in emotive language which challenged my connection. I was more enveloped in the present day storyline than I was in the narrative of Portofino 1953 and didn't gel with the characters like I feel I should have. I found that they lacked a certain substance which irritated me. I feel proud that I managed to finish this book in all honesty. Exquisitely written but dull at times. American author Christopher Castellani has written an almost epic novel about male authors and the men who loved them. The book, "Leading Men", features real people - Tennessee Williams, Frank Merlo, Truman Capote, Jack Burns, among others - while adding to them a cast of fictional characters. (It's handy to read this book on an Ipad or other devise which makes it easy to refer to Wiki when you have a question about a character in the book.) The book is perhaps a little too long, but the relatio American author Christopher Castellani has written an almost epic novel about male authors and the men who loved them. The book, "Leading Men", features real people - Tennessee Williams, Frank Merlo, Truman Capote, Jack Burns, among others - while adding to them a cast of fictional characters. (It's handy to read this book on an Ipad or other devise which makes it easy to refer to Wiki when you have a question about a character in the book.) The book is perhaps a little too long, but the relationships between the characters need a fair amount of space to develop. Castellani has invented characters as he is writing a fictionalised version of real events. Not an easy concept to either write or read, it's the only way he can tell his story. The book takes place in the 1940's to the 1960's Tennessee Williams and his lover/aide Frank Merlo live the good life in Italy. Williams is writing during the day, while Merlo keeps Williams' life and household in running order. The two men are not necessarily faithful to each other and they do fight a fair amount, but the reader can easily discern the love between them. Their friends (and rivals) Truman Capote and Jack Burns - both with their own lovers - come in and out of the story. And added to the story as fictional characters are a Swedish mother-and-daughter, Bitte and Anya Blomgren - who meet up with Williams and Merlo in Portofino and are sort of added to their lives. Anya is based on Liv Ullmann, the Norwegian actress and director. Frank Merlo and Anya become life-long friends. But Frank Merlo, who I think is the main character in the book, does not have a long life-time. He dies of lung cancer in a New York hospital in 1963, after his relationship with "Tenn" has withered. Tennessee Williams knows and acknowledges his creative juices flourished during his 20 or so years with Frank Merlo. Still friends with Anya - who has go on to become a highly regarded actress - he writes a short play about Frank he gives to Anya. What Anya does with this not-particularly-well-written play is explored near the end of the book. Christopher Castellano's book is character-driven. A bit of a plot but what's there mainly exists to service the characters. The Frank Merlo character is a particularly well-drawn, nuanced look at a man who is comfortable with his sexuality but is uncertain about his place in his world. He may book airline tickets to Spain for Williams, but he has not-so-secret desires to become an actor/singer/dancer and find success in his own right. Castellani's book is a wonderful read, though not for every reader. Make sure you read all the reviews you can before you buy the book or take it out of the library. As always with well-written fiction, I'm left with the urge to find out as much as I can about the "real people" and their stories. I thought the novel would be more interesting because it was about Tennessee Williams and his partner, Frank Merlo. Too much of the novel concentrated on a fictitious actress, based on Liv Ullmann, and there was very little about Williams' plays and I found the book boring in certain parts and not really one of those novels that I could not put down. A stunning meditation on love, fame and art. Castellani asks, 'Do we not play our parts every minute of every day, even when we are alone?' By toggling between memory, letters and the stage he digs into the indispensable question of how we define the past and future - and even ourselves. He left me reeling and I loved it. Read this book. 4.5 -- This is a solid, deep and moving book. Despite being a playwright and a theater student, I knew little about the works of Tennessee Williams beyond Streetcar and Glass Menagerie. Honestly, I first picked up this book because it starts at a party held by Truman Capote and I'm a sucker for a good historical fiction with Capote. And this amazing story did not disappoint. The language and voice of each character was well portrayed. You got a sense of each individual, fictional or real, and how 4.5 -- This is a solid, deep and moving book. Despite being a playwright and a theater student, I knew little about the works of Tennessee Williams beyond Streetcar and Glass Menagerie. Honestly, I first picked up this book because it starts at a party held by Truman Capote and I'm a sucker for a good historical fiction with Capote. And this amazing story did not disappoint. The language and voice of each character was well portrayed. You got a sense of each individual, fictional or real, and how they complimented and destroyed each other. I loved the blend of past and present, as Anja and Frank's lives came to an end. Because you knew what we were heading for, the end however that was meant to turn out. And it was sad, hard but beautiful. The relationships were fascinating to me. It was a fascinating window into gay culture of the time as well as dominant vs placating personalities. But not in a harmful way -- sure, there were some abuses of power, it was bound to happen. I thoroughly appreciated the author's note at the end. The idea of "man kills the thing he loves" is well portrayed and evident in the destruction and re-construction of these relationships, romantic or no. Finally, I appreciated this notion of ambition. It was an undertone in both Frank and Anja that ebbed and flowed in their journeys. This notion of playing second fiddle to people like Williams and Capote, but then when Anja gets her taste of brilliance and fame, the continuous chase of it...while Frank abandons it upon the first sign of failure. It's well done and fascinating. I liked the honesty of it. At points, the book was slow and there were times I was looking for more of a structured plot -- forgetting why I was reading about these characters. 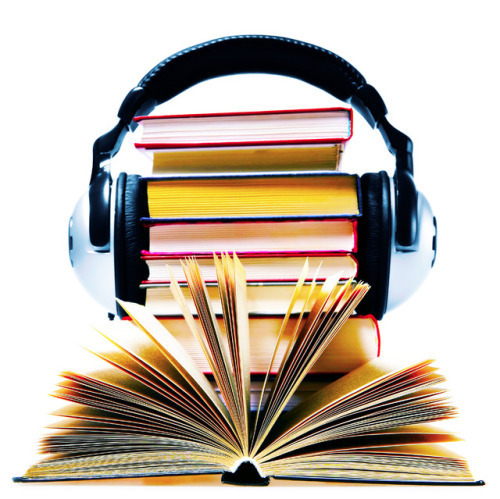 I'm a plot person, but I was captivated by these characters and once you got into the rhythm of their voices, you realized the plot was maybe subtler than one would have liked but still present and strong. I think this is a great historical fiction read, great for fans of Melanie Benjamin or Paula McLain. It allows you into the underbelly of a supposedly glamorous and brilliant time, and those that lived it. And I appreciated its honesty. I knew little about Tennessee Williams aside from him being the playwright of A Streetcar Named Desire. Leading Men explores the relationship between Tennessee and his lover, Frank Merlo during their time in Italy and subsequent years together. The story is told over numerous time periods and with different narrators. Most enjoyable for me was the story of Anja, an aspiring actress who eventually finds great success, and comes to possess Tennessee’s final play (written specifically for her). Her I knew little about Tennessee Williams aside from him being the playwright of A Streetcar Named Desire. Leading Men explores the relationship between Tennessee and his lover, Frank Merlo during their time in Italy and subsequent years together. The story is told over numerous time periods and with different narrators. Most enjoyable for me was the story of Anja, an aspiring actress who eventually finds great success, and comes to possess Tennessee’s final play (written specifically for her). Her story contrasted with Frank’s, who also wanted to become an actor, but found himself trapped in Tennessee’s shadow. Christopher Castellani transports us to Italy in the 1950s where we meet Frank Merlo. Through Frank's eyes we see his love affair with Tennessee Williams and his circle of friends including Anja, an aspiring Swedish actress who I fell in love with. There are parties with Truman Capote and Jack another lesser known author. I could visualize every scene this book. Cannot wait to meet this author in May! This a very dull attempt to make something of the relationship between Frank Merlo and his lover Tennesse Williams that lasted from 1947 to Merlo's death in 1963. The book opens in July of 1953 when Truman Capote throws a party in Portofino, Italy. There, the mother/daughter duo Bitte/Anja Blongren become part of the story. On the writer's note at the end of the book, the author states: "Ironically, it was only after the entirely fictional Anja entered the narrative that the plot began to take shape..." However, it does not. The plot is a mess. There are at least four timelines: 1953, 1963--Frank's death, 1983, and the present. Chapters run back and forth without any rhyme or reason. The narration is a somewhat third person point of view which leaves the reader without a voice to concentrate on. The plot is very boring-- it's as if nothing happens at all. The characters themselves are one dimensional--I never cared for any of them. This book was ground breaking for me in many ways. The structure was brilliant, but more than that was the rendering of the relationships - so difficult to define with societal lexicon - which suffered because there was no acceptable construct. There was so much love and caring between Frank and Tennessee and between Frank and Anja, but because these relationships were outside the norm, they were terribly vulnerable and subject to uproar. Never before have I read and empathized with characters w This book was ground breaking for me in many ways. The structure was brilliant, but more than that was the rendering of the relationships - so difficult to define with societal lexicon - which suffered because there was no acceptable construct. There was so much love and caring between Frank and Tennessee and between Frank and Anja, but because these relationships were outside the norm, they were terribly vulnerable and subject to uproar. Never before have I read and empathized with characters who faced such exclusion from what was mainstream with regard to legitimizing relationships. Living in the shadow of a great artist, Frank Merlo won my heart. I truly rooted for him and in the end wept for him. 2.5. I kept forcing myself through the grown-up Anja sections because I really enjoyed the past scenes of Frank, Tennessee, Truman, and all the other fabulous writers and their friends and parties, but upon discovering at the ~60% mark that I was then going to have to read an embedded play, that was it for me. I couldn't force it any longer. Sorry y'all. 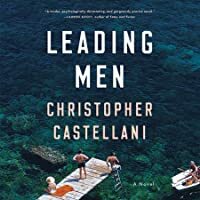 Thanks Goodreads for my copy of Leading Men by Christopher Castellani. I will say the book was well written however the subject matter was boring. I tried to get all the way through this book but I ended up giving up eventually. There wasn't the gossip that I expected from this book and there wasn't much going on with the characters to hold my interest. Let me pre(r)amble by saying that the things I did not like about this book are things more to do with my shortcomings as a reader as opposed to the very gifted author, Christopher Castellani's problems. I take responsibility for any disappointment I felt with this, and you should not let my personal journey affect your reading of the novel --- which is deservedly praised by many, many people far smarter and more gifted than I am. I think I have read most of the books written by and about Tenness Let me pre(r)amble by saying that the things I did not like about this book are things more to do with my shortcomings as a reader as opposed to the very gifted author, Christopher Castellani's problems. I take responsibility for any disappointment I felt with this, and you should not let my personal journey affect your reading of the novel --- which is deservedly praised by many, many people far smarter and more gifted than I am. I think I have read most of the books written by and about Tennessee Williams, Truman Capote, Paul Bowles (and his wife, Jane), Gore Vidal, and the lives of writers and the literary milieu in which they lived and loved and thrived. One of the reasons for all that reading, in addition to my being a reading addict, is that I am of an age, born into a time when, during my youth, outside the major cities, there was almost no discussion or admission of homosexuality aside from whispers and denigrations. It was a given Tennessee Williams and Truman Capote were "that way" --- but they certainly didn't discuss it openly on Mike Douglas or Merv Griffin, and while it was clear I should not want to be like them in their fey-ness and "light in the loafers" mien, they were practically the only examples of men who loved men one had. It was my experience that I mined the books about them, articles, their own words and work, to find SOME description of who I was, might be, what life I could have. So, I came to "Leading Men" with all of that baggage; And not a small part of the heft of that baggage -- then more-so than now, but still, echoes now --- was internalized homophobia. In a world where the institutions of state and church and community and family are constantly sending the message that you are a freak, a sinner, a criminal, an abomination, it is nearly (completely?) impossible to cultivate a healthy sense of self, to embrace one's natural self when told day after day after day that it is unnatural. Still, our lives were not all tragedy, or, even, much tragedy. It is as it was with Judy Garland (yes, that's how gay I am, I'm going to Garland) whose history now is often portrayed as one of drug addled sorrow and horrors. But, as her children and many of her cohort have repeatedly said, she was a blast, mostly happy, a joy to know and quite good at love. 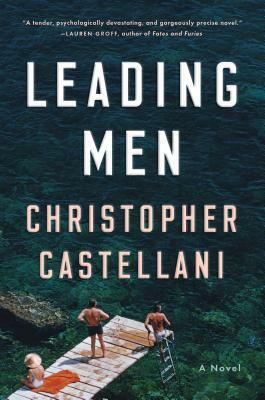 In "Leading Men", Christopher Castellani makes fictional characters of the real life Tennessee and his long-time lover, Frank Merlo who was a working class, former Marine, truck driver of hefty, muscly build; what we called "trade" then, which was straight(ish) or straight-appearing men who had gay liaisons, often for financial gain. Merlo was not with Tennessee for the money, rather, it seems from all I've read, he loved Williams, whether in a deeply romantic way or for his artistry, the magic of his talent and the world in which he got to move, or whatever combination of those things made their union a lasting one. What made that union begin and last, for me, doesn't come across here. Neither does the feeling of the times, the disconnect from the culture at large --- a distance between "us" and "them" of which we were every day aware. And, while I, too, want more books with happy endings for LGBTQIA characters, and more books informative about our community's history and its famed ones, the truth of those years is that while we had much joy, while we made a world that was safe when we were with each other, we moved in a larger world that most definitely was not safe, was not kind, and in which --- even if we managed to gain entry, like Tennessee Williams and Truman Capote did --- we were there as outliers, court jesters, come look at the freaks. And that element is missing from this novel. What is not missing is a multi-layered and multi-leveled exploration of the connection between love and inspiration, the ways in which love builds and destroys, nourishes and starves. And it is a clever imagining of might-haves fit into and around the lives the real characters actually lived and the places they traveled. It is admirably constructed and its prose is often lovely. But for me, an admitted curmudgeon coming on sixty, it did not capture the patina or energy of the time, and felt more now than then. And, the fictional characters felt less than whole, devices rather than flesh and blood. Maybe I came into it expecting too much; wishing, I think, for all the secrets and inside gossip and details of their lives which I could only infer and imagine as a young man when reading about them or seeing them or their work. That, I think, is it. I already had written in my head and heart the life stories of these men, in those times, and "Leading Men" did not tell that story. (4-1/2 stars) Fictionalized look at the relationship between Tennessee Williams and his longtime partner Frank Merlo. There are three timelines which wind themselves through the narrative: 1) Tenn and Frank and their time in Italy in the summer of 1953, during which time they become friendly with troubled gay writer John Horne Burns, his companion Sandrino, and a young aspiring actress named Anja Blomgren; 2) 10 years later, Frank is dying of lung cancer, longing for contact with Tenn and Anja; (4-1/2 stars) Fictionalized look at the relationship between Tennessee Williams and his longtime partner Frank Merlo. There are three timelines which wind themselves through the narrative: 1) Tenn and Frank and their time in Italy in the summer of 1953, during which time they become friendly with troubled gay writer John Horne Burns, his companion Sandrino, and a young aspiring actress named Anja Blomgren; 2) 10 years later, Frank is dying of lung cancer, longing for contact with Tenn and Anja; 3) in the present day, Anja stages Tenn's last play, one he had shared only with her. Christopher Castellani is the son of Italian immigrants and a native of Wilmington, Delaware. He lives in Boston, where he is the artistic director of Grub Street, one of the country's leading independent creative writing centers. He is the author of three novels: All This Talk of Love (2013) -- a New York Times Editors' Choice -- A Kiss from Maddalena (2003)--winner of the Massachusetts Book Awar Christopher Castellani is the son of Italian immigrants and a native of Wilmington, Delaware. He lives in Boston, where he is the artistic director of Grub Street, one of the country's leading independent creative writing centers. He is the author of three novels: All This Talk of Love (2013) -- a New York Times Editors' Choice -- A Kiss from Maddalena (2003)--winner of the Massachusetts Book Award -- and The Saint of Lost Things (2005), a BookSense (IndieBound) Notable Book. His book of essays on the craft of fiction, The Art of Perspective: Who Tells the Story, was published by Graywolf in 2016. Christopher's fourth novel, Leading Men, for which he received a 2014 Guggenheim Fellowship, will be published by Viking in February 2019.